I hope you’re week is going great and you are looking forward to another great Sunday at Next Level. This past Sunday we had four children in Kid City choose to accept Christ for the first time. 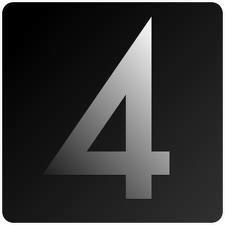 That’s right 4 children for the first time chose to start a relationship with Christ. Amazing things are happening every Sunday at Kid City and this week 4 children’s lives were changed forever because of it. And you had a huge part of it. Whether it was through your time as a volunteer in Kid City or giving to support Next Level. You played a huge part in the decision these four children made. So for that I say thank you. Thank you for caring enough to give to Next Level and thank you for your time. If you are looking for another great place to plug in at Next Level, Kid City would be a great place and a very rewarding place to volunteer. In fact there are few places where you can volunteer and feel the immediate rewards as Kid City when you see the smile on these kids faces. You are an amazing group of people and I can’t wait to see what God has in store for you next. Maybe it’s volunteering at Kid City. See you Sunday at Next Level.